The United States greatest leaders, including Patton, Truman, and MacArthur, spent the formative years of their military careers under the command of General of the Armies, John J. Pershing. His influence was pivotal in their success and his wisdom has been passed down to this day. So how was that wisdom formed? General Pershing did not set out in life with an interest in leading a military life. He was interested in education, especially his own. When he graduated from high school, he taught African American students at Prairie Mound School in Missouri. During that time he was furthering his own education. 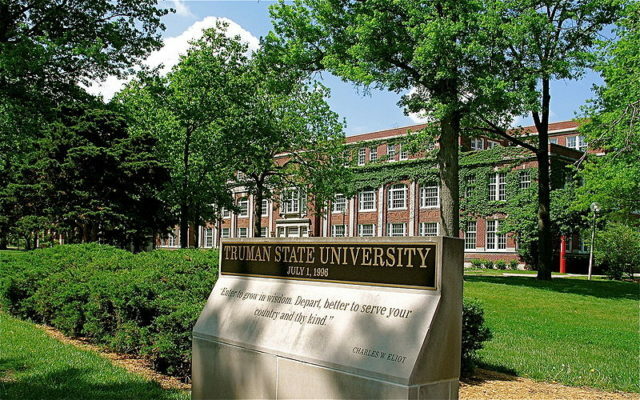 He saved his pennies and enrolled at what is now Truman State University in Missouri but what was then known as Missouri Normal School. While there, he received an invitation to participate in a competitive test for entry to West Point. He made the highest grade on the test. Despite that grade, he wasn’t the sharpest student there. However, he was noted for excellence in leadership as Class President 1886 and the highest ranking Cadet in the Cadet Battalion. As the commander of the West Point Color Guard, he led the corps of Cadets across the Hudson River to present arms to the passing funeral train of Ulysses S. Grant. From West Point, Pershing headed west to the Indian Wars. He wasn’t at Wounded Knee, but he was nearby, marshaling troops, establishing perimeters, and looking for Chief Bigfoot – a former ally of the Army and peacemaker among warring Native Americans. It was here that he became interested in understanding the lives and motivations of the peoples he fought. He learned how to understand different Apache dialects and Plains sign language. He developed a deep respect for Native Americans. 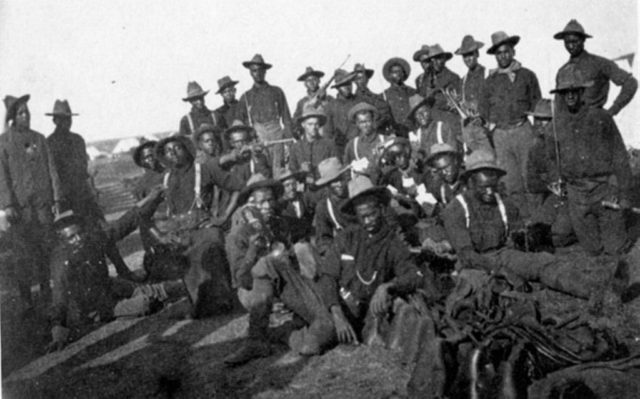 Segregated company of US Soldiers (likely Buffalo Soldiers), Camp Wikoff, 1898 –during the Spanish-American War. After the Indian Wars, he was assigned to the all-black 10th Cavalry, The Buffalo Soldiers. He moved from there to a teaching position back at West Point. 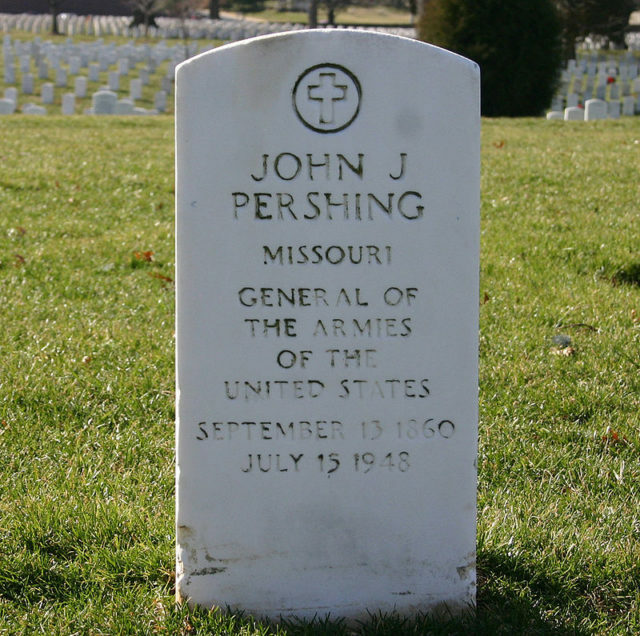 His students called him “Black Jack Pershing” in reference to his time with the 10th Cavalry. Following his time out teaching, he returned to the 10th Cavalry in Cuba, fighting in the Spanish-American War, leading his men at the Battle of San Juan Hill. He was awarded the Silver Citation Star (later upgraded to the Silver Star) for his valor. All of his dedication and success prompted President Theodore Roosevelt to ask Congress to assign Pershing to Tokyo during the Sino-Russian War as a military attaché observing the war up close. He did well – prompting Roosevelt to include him in something unprecedented. In 1906, President Roosevelt promoted Pershing and four other officers to ranks well out of their reach under normal promotion conventions. 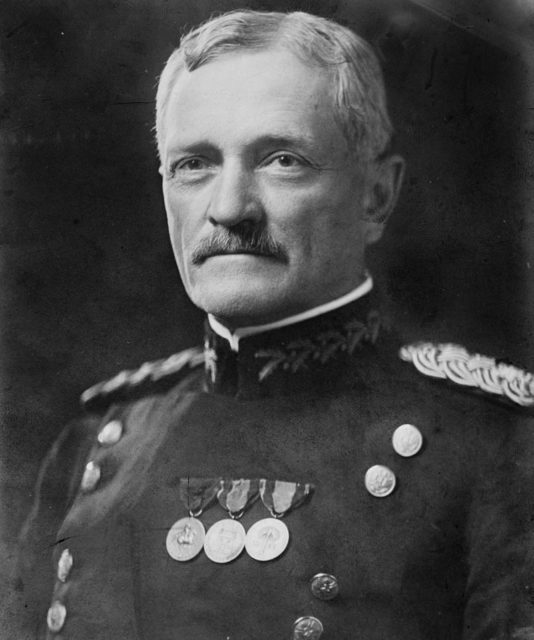 Pershing , in particular, was promoted to Brigadier General – skipping over 800 officers of higher seniority and through three ranks, causing a public outcry that accused the president of favoring Pershing because he was the son in law of a senator. The public soon understood, through the testimony of fellow officers, that the appointment was well deserved and a smart move on Roosevelt’s part. General John Joseph “Black Jack” Pershing, on his uniform from left to right 1. Indian Campaign Medal, 2. Spanish Campaign Medal, 3. Philippine Campaign Medal. Pershing went on to serve in the Philippines and then to the border and into Mexico to hunt the infamous Pancho Villa. He did this through the grief that he carried from losing his wife and daughters to a fire when he was away from home. Only his son had survived. The most well known of his military successes was his command of the American Expeditionary Force during World War I. He was given the seemingly insurmountable task of inflating a force of 130,000 men to nearly 3 million expertly trained soldiers – a task which he accomplished in only 18 months. He was proud of the AEF and when the Allies told him that his troops were to “fill in” gaps in Allied forces where needed, Pershing resisted. He told the Allied military officials that American soldiers had U.S. military training and would be better on their own against the Germans than if they were separated and put in with Allied troops. Pershing turned out to be right in Cantigny, Mihiel, and the Meuse-Argonne offensive. His leadership was integral to paving the way to the Armistice. 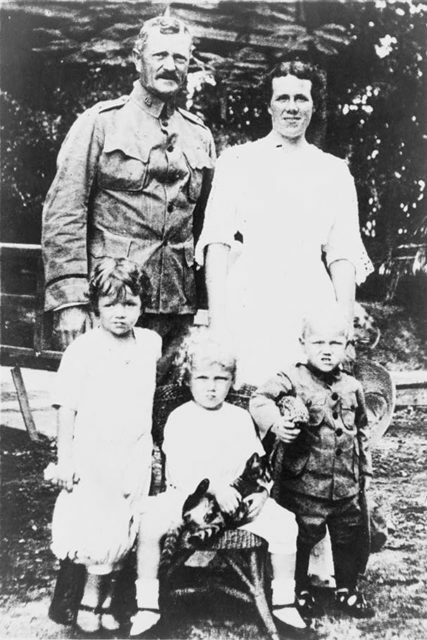 Pershing with his wife Helen and three of their children. President Woodrow Wilson awarded Pershing the rank of Six Star General of the Armies in 1919. He was the only active duty officer, and the only living military leader, to be bestowed the highest rank in the United States Armed Forces. George Washington is the only other person to acquire this rank and it was not given to him until 1978. Ulysses S. Grant was a General of the Army, a similar sounding rank, but one that held only four stars. 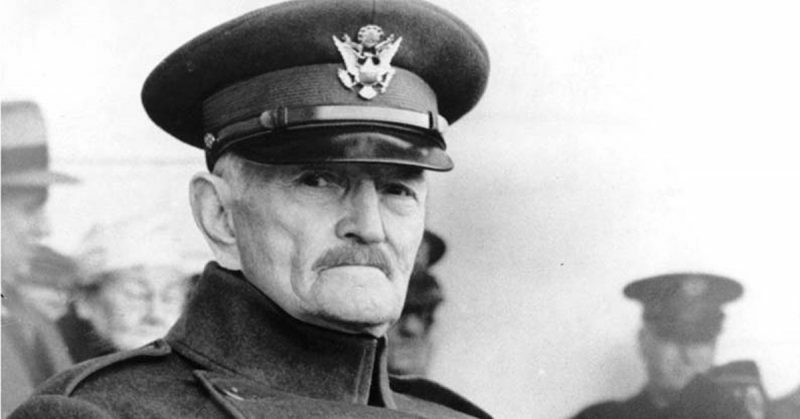 Pershing retired at the age of 64 as the U.S. Army Chief of Staff. He declined suggestions of political office and even requests for his opinion on the state of European conflicts. He felt the need to respect and support the nation’s current military leaders. In 1932, he won the Pulitzer Prize for history for his autobiography, My Experience of War. When he died in June of 1948, the nation mourned. Over 300,000 people came to visit and pay their respects to him as he laid in state in the Rotunda of the Capitol. He is buried with full military honors at Arlington National Cemetery. Our nation’s most revered military leaders of the 20th century were directly or secondarily influenced by General Pershing. Many of them were in his classes at West Point, and several served directly under him elsewhere. Brigadier General Fox Conner was Pershing’s Chief of Operations during World War I. Conner was very influential in the military career of President Dwight D. Eisenhower. General George S. Patton was a friend to both of these men and himself served under Pershing, as did President Harry S. Truman, General Douglas MacArthur, and U.S. Secretary of State George C. Marshall. These leaders fought adversity on a global scale against foes and weaponry of such greatness the world had never encountered. Their leadership and achievements are a testament to the man General John J. Pershing must have been.